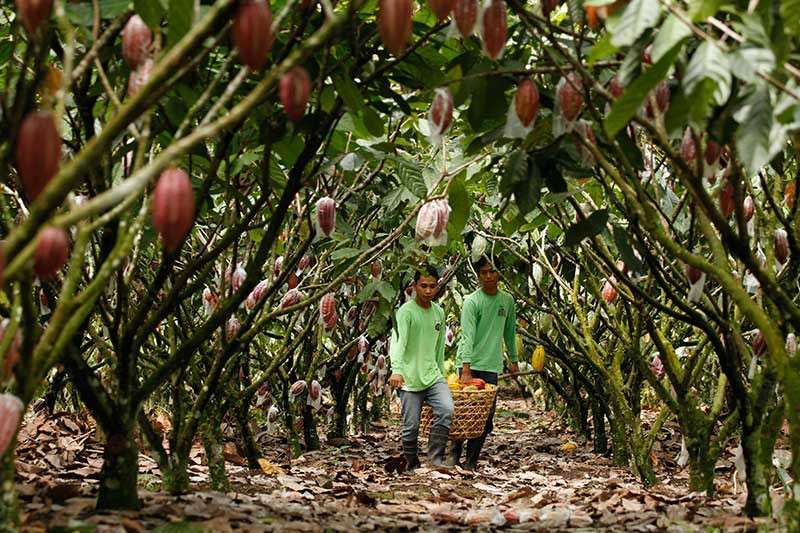 PUENTESPINA Farms' cacao beans have been designated as Heirloom cacao, a first in the Philippines by the Heirloom Cacao Preservation (HCP) Fund last January 12, 2019. “We are elated to be part of this very small group of farmers who have been given this designation as Heirloom cacao. We are only the 16th to be given this honor, and the first in the Philippines,” said Charita Puentespina, founder of Puentespina Farms. HCP Fund is an initiative of the Fine Chocolate Industry Association in collaboration with the US Department of Agriculture. The organization gathers cacao farmers, chocolate makers, and industries venturing in chocolate production to help promote in saving the Theobroma cacao trees. “Heirloom cacao is important because they are primarily grown by small-scale farms in the lowland tropical regions, where cacao is an important source of livelihood. They are also good for the ecosystem because they are grown in the shade along with other fruit trees like bananas, coconuts or forest trees,” Malagos said in a statement. To be granted with the Heirloom cacao designation, chocolate companies must submit cacao samples to HCP. After a year of assessment, the Heirloom cacao designation will be awarded to chocolate farms that passed the set requirements. “It is significant because it raises the status of the beans that are grown in the Philippines. For years, the Philippines was not included in the list of countries that are sources of fine flavor chocolates. This is partly because the old growers and chocolate makers subscribed to techniques and quality control that were not sufficient to meet international standards,” Malagos said. Malagos joins other Heirloom cacao farm designations in Bolivia, Ecuador, Hawaii, Costa Rica, Belize, Nicaragua, Vietnam, Tanzania, and Madagascar.